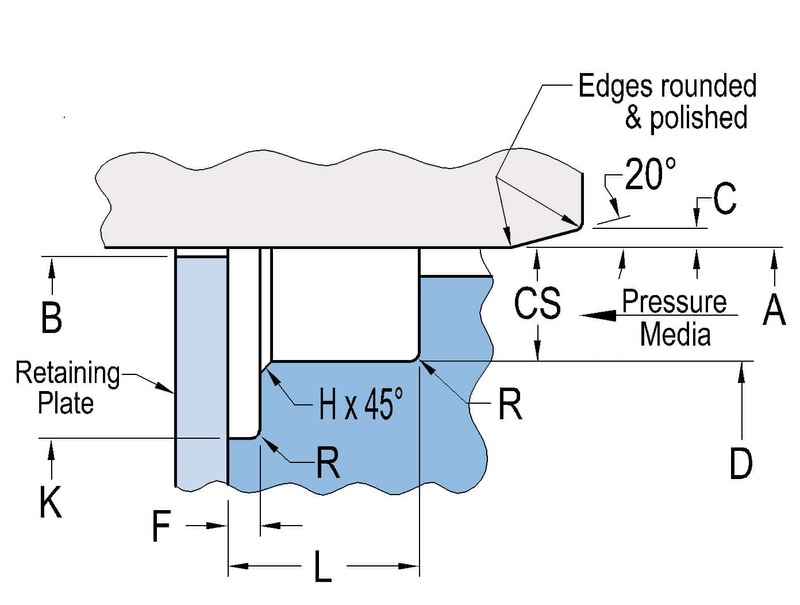 Flanged V-Spring-loaded high-pressure rotary seal for spinning bore. Designed to provide long service life and low friction for extreme service applications over a wide temperature range. This seal style is able to operate efficiently in environments where the operating parameters vary over a wide range. Cycling of pressure, speed or temperature can all be accommodated, as can mechanical torsion due to changes in movement type or direction. 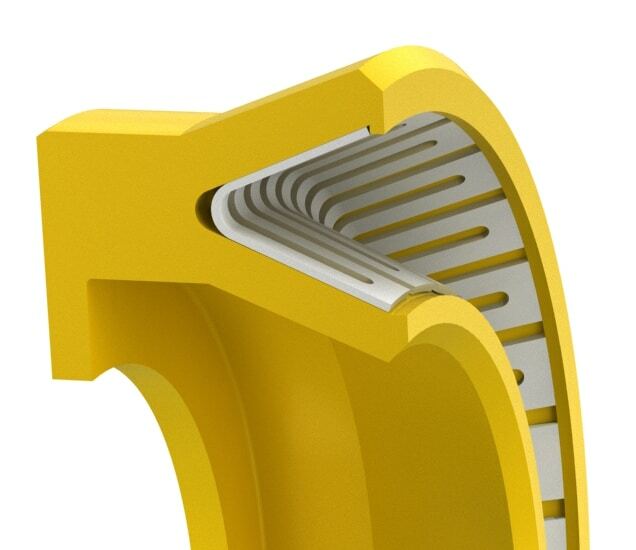 The seal is clamped on the flanged heel, preventing it from rotating and forming a positive static seal area. Also available in small quantities for repairs and seal replacement in 1 to 3 days. Size Table (Inch)Standard sizes listed below are preferred sizes for new design applications; however, we offer any other seal size as required. Seals are available for any shaft diameter size in 0.001 inch increments without tooling charges, including Functional Range. *Standard cross-sections (CS) listed and non-standard sizes can be provided for any shaft size up to 63 inches. **For pressure above 3,000psi or temperature above 200°F, contact engineering for clearances. Surface finish: Shaft (A) plunge ground, zero lead Ra 6-12µin, Housing (D,L) Ra 16-32µin. Shaft material hardness 55-65RC. See Technical Info for more specific information. Size Table (Metric)Standard sizes listed below are preferred sizes for new design applications; however, we offer any other seal size as required. Seals are available for any shaft diameter size in 0.001 inch increments without tooling charges, including Functional Range. *Standard cross-sections (CS) listed and non-standard sizes can be provided for any shaft size up to 1600mm. **For pressure above 210bar or temperature above 95°C, contact engineering for clearances. Surface finish: Shaft (A) plunge ground,zero lead Ra 0.15-0.3µm, Housing (D,L) Ra 0.4-0.8µm. Shaft material hardness 55-65RC. See Technical Info for more specific information.